A successful patient story to us is one where the patient received superior, responsive, convenient healthcare in the comfort of their home while eliminating a costly hospital stay. In four weeks and without leaving his assisted living center for doctor visits or diagnostic tests, a Patriot Housecall patient defeated pneumonia. A 91 year-old Youngstown assisted living resident was sick with pneumonia for a month and never had to step foot in a hospital while he was being treated. Instead, he and his family-member caregivers enlisted the services of Patriot At Home, a relatively new offering from the Mahoning Valley-based home healthcare provider. The patient was initially seen by a Patriot Housecall nurse practitioner at his assisted living center in late March of 2016 complaining of persistent cough and congestion. On-site he was given a chest x-ray and oral antibiotics, and the x-rays later confirmed a diagnosis of pneumonia. One week later at a follow-up appointment, again at the assisted living residence, he was feeling no better, if not declining. He was prescribed additional meds and IV antibiotics, which were administered by a Patriot Home Care nurse. Two weeks later in a third follow-up visit, the patient was noticeably better. He was given more antibiotics, a nasal spray, cough syrup and a repeat chest x-ray, which still showed pneumonia. After the third chest x-ray in the next follow-up visit the pneumonia had cleared up. The assisted living facility later noticed he was having trouble swallowing, and they notified Patriot, and a Patriot Home Care speech therapist was consulted. The therapist ordered a modified barium swallow study, which came back normal; no signs of aspiration. All told, the patient saw the nurse practitioner three times and had three chest x-rays and multiple other nursing services, all without leaving his residence. He also never exceeded $100 in out-of-pocket charges. Had he gone to the emergency room instead to seek treatment, because of his age and oxygen level he undoubtedly would have been admitted and stayed three to five days; at least once, if not a re-admittance or two along the way. In the process he would have run up several thousands of dollars of costs to the healthcare system. 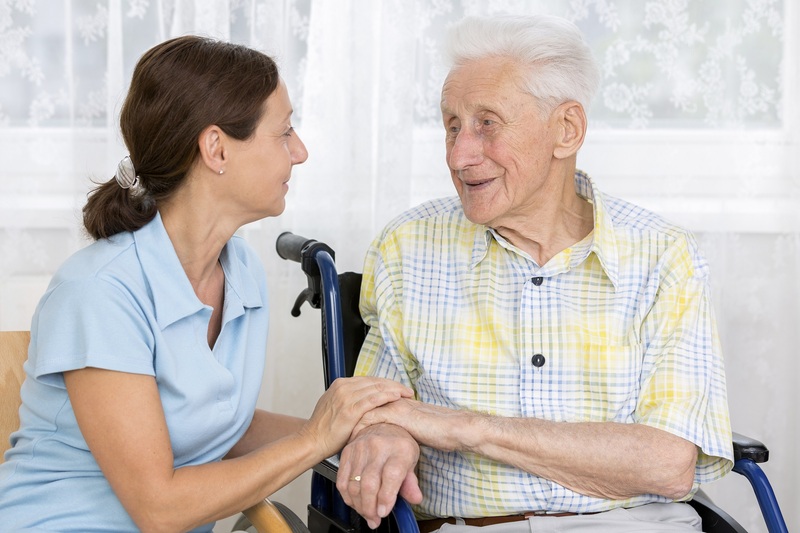 Patriot At Home nurse practitioners go to homes and assisted living facilities and treat homebound patients (as qualified by Medicare guidelines) just like patients would experience at a doctor’s office visit. Patriot At Home can perform x-rays, physical exams, ECGs, blood work, wound care, medication compliance and more. To learn more or see if you or a loved one qualifies for in-home medical care, Please contact us at 330-306-9651. Become your own success story! Contact Patriot at Home for more information.